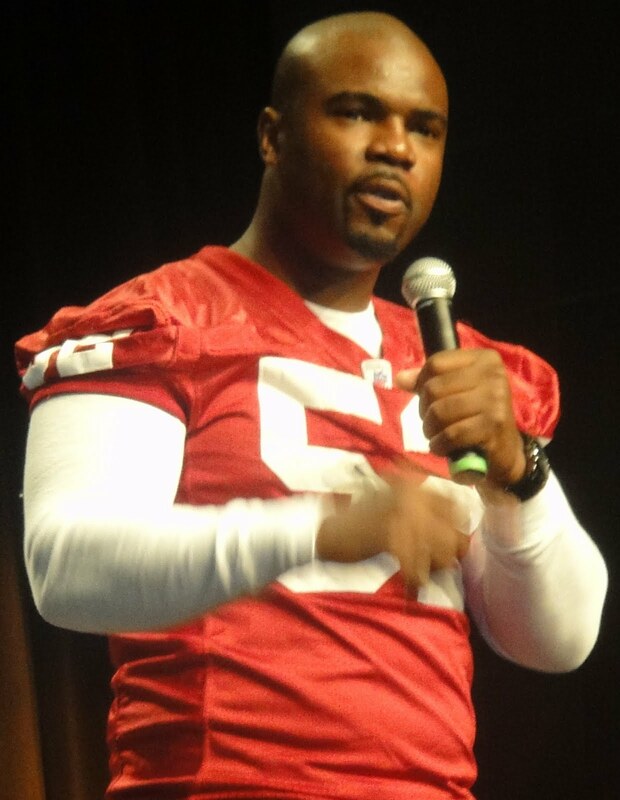 Levar Fisher was a linebacker for the Arizona Cardinals, but now speaks to kids around the country about following their passions and living their dreams. It is rare to meet such a passionate, motivating and genuine person who believes so whole-heartedly in making kids believe they can overcome anything. Levar sets the bar for all of this and more. 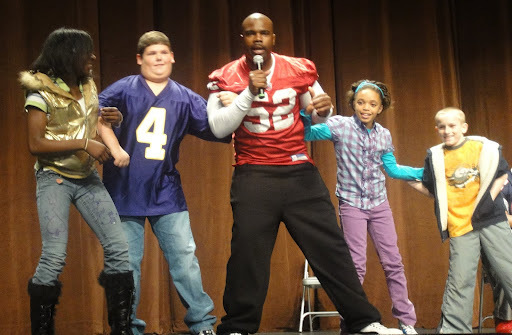 Love and Water- How did you move from playing in the NFL to your work as an inspirational, motivational speaker for kids? 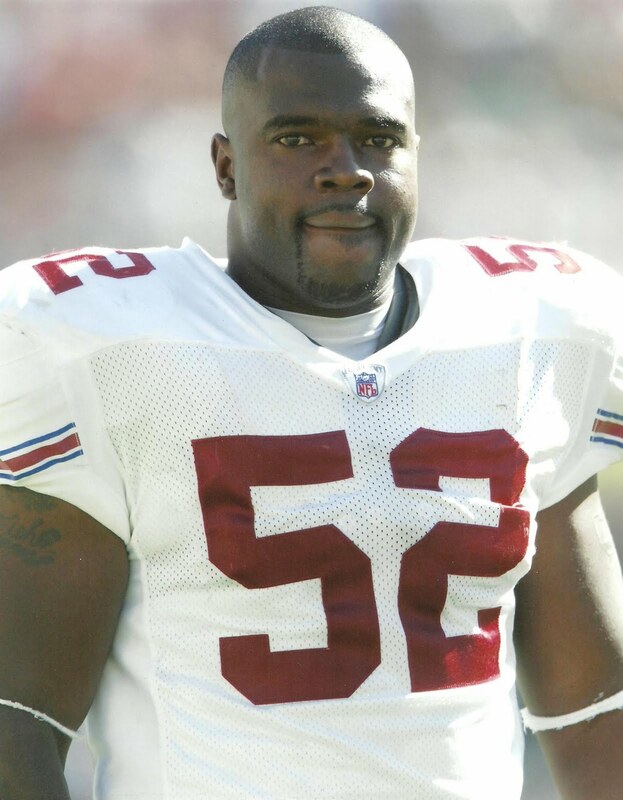 Levar Fisher- I played for the Arizona Cardinals from 2002 through 2004, and was with the New Orleans Saints in the off-season of 2005. I had so many injuries, and my career didn’t pan out like I thought it would. I had four right knee surgeries, and a left knee surgery, and after those I couldn’t run. I felt like my career was taken away from me, and I cried about it for about a year- I’m not afraid to admit that. It was devastating to me, and I felt like my whole life was ripped out from under me. Before I left the NFL I was approached by a gentleman from Sports World Industries about speaking to kids on a circuit. I started doing it and I got pretty good at it. From that and the relationships I made, people started to want me to speak all the time. I got so busy with it that I actually had to part ways with the sports world. My wife is now my partner, and she does all of my marketing. I’ve partnered with so many different groups and people, and I’m so inspired by the number of kids I’ve been able to reach who have lost hope or don’t believe they can make a change in their lives. To turn those beliefs around is so important to me because our kids are our teachers- they’re the future leaders of this world, and they need to believe in themselves. I try to approach every engagement I go into with that in mind. There are some kids who seem to have it all together, and then there are some who I can see need love and support. I try to reach those especially who don’t have the love or support in their lives and make them understand that there are people who believe in them. I feel so good about life. I have a beautiful wife and daughters, and I know I have so much to be thankful for. L&W- What groups and organizations do you speak to? 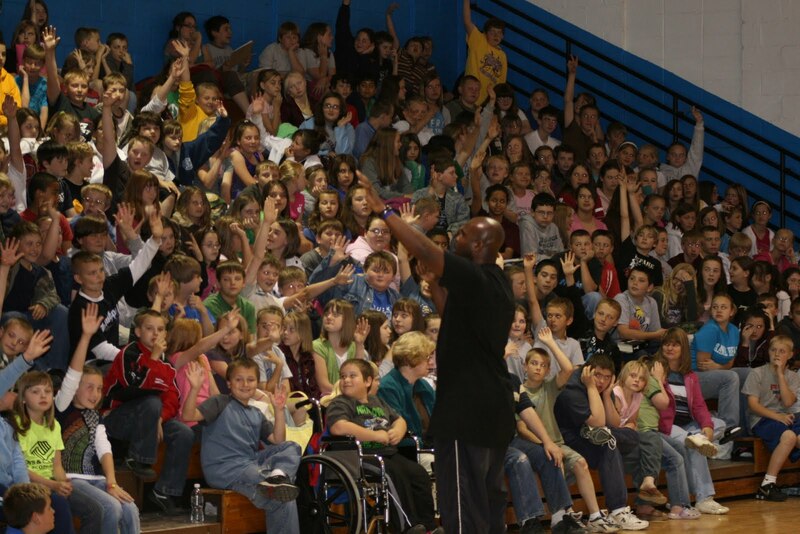 LF- I speak at schools, organizations like Kids Are Heroes, juvenile detention centers, prisons, churches- and I don’t just limit my audience to kids. I also speak occasionally to corporate audiences where there are no kids in attendance, because I can still inspire hope in adults who need an extra boost of confidence, and I’m happy to do so. L&W- How can people book you as a speaker? LF- Through my site, www.levarfisher.com, or they can call 866-574-4776. L&W- What is the most moving moment you’ve had so far speaking? LF- There was one young lady who got pregnant and had her baby, and came up to me after I spoke and was crying and shaking. She had left her mom a note that she wanted her baby to be taken care of because she was going to kill herself. After she heard me speak, she changed her mind. Sometimes I go into these situations and I realized that this is what I was meant to do, especially when people show their appreciation for what I’m doing. But this was a really emotional moment for me, because I realized it was changing me. The fact that she was no longer thinking that she had no choice left made me feel I had done something really important. Another time I was speaking in an inner city school and this kid came up to me and wanted to talk to me privately. He had a gun in his pocket and he showed it to me and said he was going to turn it in that day because of what I had said in my speech. He realized he could make more of his life than what he was doing at that point. Again, I realized how important this work is to me. I don’t know what he was going to do with that gun, but nothing good could have come of it. It’s moments like that that keep me going. L&W- Do you keep in touch with the kids you’ve spoken to? LF- Absolutely. I encourage all of them to email me, and I read every single email. I get back to every person who takes the time to email me with their questions or issues. I keep in touch with the schools and talk to them to make sure they’re following up with anyone who talked with me about the problems they’re having and are trying to correct. I also pass out comment cards after each speech and tell everyone to let me know how they’re feeling and what they thought of the whole event. When I read the cards there is so much love and they have so many questions about how they can work on making changes in their lives. I get back to all of them with the information they ask for. It’s great, because I tell them that if they don’t feel comfortable talking about something, they need to write it down, and that gets them to express what’s on their mind, which leads them to figuring out how to make a change. If I can help them in any way, I do. One kid told me he was HIV positive on his card, and he needed help. I made sure he got what he needed. I talk to principals and to others who can give them the resources they need. L&W- What do you want people to most understand about what you do? LF- The passion that I have to do what I do. When I go around to these schools, I lay my heart out to these kids and I try to reach them on their level. I don’t believe that there is one linear way to become successful. If there is a way to break them out of that way of thinking, I’ve done my job. I share my craziest moments- I share the story of me watching on of my closest friends get killed. I don’t hold back, because I want them to know, without a doubt, that no matter what they’re going through they’re not alone. There are others out there who have goine through something similar, and there is always a way to rise above it and use it to make a better choice. I’ve learned from the mistakes in my life, and they have made me who I am today. Through my mistakes I have been able to go after my dreams, and that’s what it’s all about. I have so much passion for helping young kids realize that they can do the same thing.